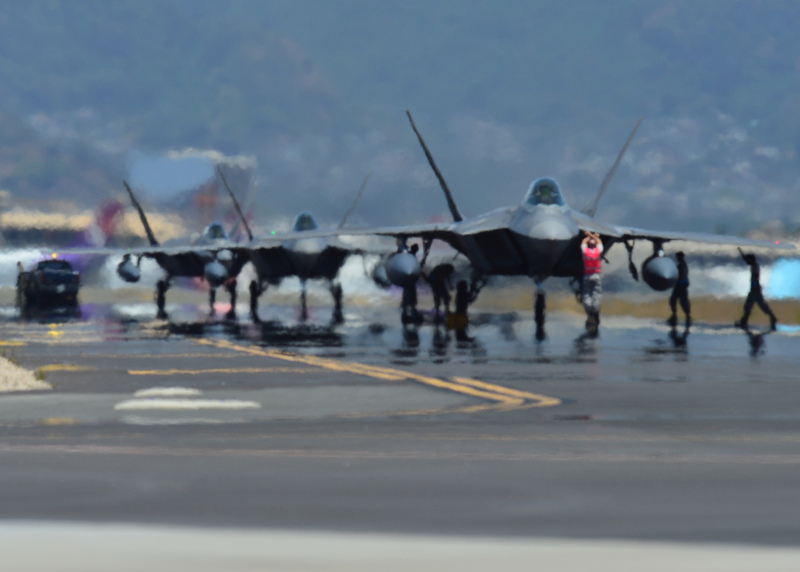 The F-22s based here are one of the smaller Raptor contingents in the Air Force, tasked with responding to homeland threats and being the tip of the spear for any engagements in the Pacific. And, the Raptors face that mission with limited support. To stay sharp and be ready for any operation in a contested region, the pilots are getting creative and drawing on recent real-world combat experience.